ASHEVILLE NC – Chimney Rock at Chimney Rock State Park will host its biannual Shutterbugs Nature Photography Workshop led by award-winning WNC photographer Jeff Miller on Saturday and Sunday, November 1-2, 2014, from 8:30am-4:00pm on both days in the Park. Chimney Rock’s fall colors are expected to peak around this time, presenting a vibrant landscape with yellow, red and orange hues for leaf peeping shutterbugs. Unique geological rock formations, up to 75-mile views of Lake Lure and Hickory Nut Gorge and a 404-foot-tall waterfall, along with diverse plant and animal life, mark Chimney Rock as a top destination for photography in Western North Carolina. Miller’s two-day comprehensive workshop is designed for beginner and experienced photographers and costs $90 ($65 for Annual Passholders) for day one; $100 ($75 for Annual Passholders) for day two, or $170 ($135 for Annual Passholders) for both days. Fees include instruction, lunch and an Annual Pass for non-Passholders. To register, call (800) 277-9611 or register online at chimneyrockpark.com/events. “Chimney Rock is one of WNC’s most spectacular backdrops for photographers, from its kaleidoscope of fall colors to its dramatic landscapes. It’s not every day your lens can frame an iconic 535-million-year-old rock with long-range panoramic views or the second highest waterfall on the east coast,” said Jeff Miller. Expert Instruction. Jeff Miller’s award-winning work has been published in regional, state and national publications and exhibited in galleries and landmark buildings throughout central and western NC. Miller’s two-day, comprehensive workshop will offer an intimate class size with 1-on-1 personal attention, guidance and critiquing to maximize learning opportunities and personal growth. His format strikes a thoughtful balance of classroom instruction with in-the-field guided photography sessions. Topics vary from camera equipment and photography techniques to post-production and exhibition, tailored to individual levels of experience. Participants will learn how to shoot scenes from wide-angle to telephoto, including traditional flower portraits, intimate landscapes and vistas. They will also learn about some of the post-processing tools available to organize, optimize and print digital images. It is highly recommended that photographers bring a digital SLR camera (with media cards, extra batteries, and user manuals), a tripod, and their favorite lenses to the workshop. Renowned WNC photographer Jeff Miller’s award-winning work has appeared in regional, state and national publications, including cover photos for Our State, The Laurel of Asheville and the National Park Service publications. Miller’s photos have been displayed at more than a dozen venues and galleries in Asheville and around central and western North Carolina. Additionally, his work can be seen on display in hotels, offices, restaurants and landmarks around Western NC. Miller is actively involved in photography groups in Asheville, Hendersonville and Brevard, NC, and has given many technical and artistic presentations on photography. He is actively immersed in photography, from workshops and field trips to judging and consulting. He also offers commercial photography and printing services through Mountain Lens photography. Visit Miller’s online gallery at www.mountainlens.com. Find out how to do a monthly self-exam from your primary care physician. 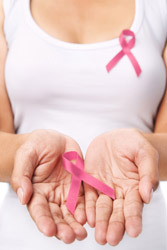 You can also find information on self-exams at www.nationalbreastcancer.org. Schedule a yearly check-up with your healthcare professional to make sure that there are no significant changes in your health that you might not be aware of. For a list of questions to ask your healthcare provider about breast cancer, click here: Questions for Your Doctor. Buncombe County Health and Human Services offers the Breast and Cervical Cancer Control Program (BCCCP). BCCCP helps to save lives of women through early detection. The program provides free breast exams, PAP tests for cervical cancer, and mammograms for women who are 18 – 64 years of age who meet certain eligibility requirements. If you have questions about breast cancer, or want to find out if you are eligible to receive a life-saving screening, please call (828) 250-6006 or visit www.buncombecounty.org/pink. Breast cancer is the second leading cause of death for women in the United States. Simple choices such as becoming educated about breast cancer, frequent self-exams, and mammograms can save a life! ASHEVILLE NC – Known as one of the Southeast’s most beloved and storied holiday vacation destinations, Christmas at Biltmore daytime tours begin on Nov. 7, 2014, and will run through Jan. 11, 2015. Candlelight Christmas Evenings, offering evening candlelight tours of Biltmore House, take place Nov. 7, 2014 through Jan. 3, 2015. This year’s Christmas displays throughout the estate will draw inspiration from the theme “A Vanderbilt Christmas Celebration.” Décor will trend toward the opulent to create a sense of the Gilded Age, while incorporating elements that nod to George Vanderbilt’s legacy in Western North Carolina. Biltmore’s modern-day Christmas celebration is modeled on that first Christmas – and this year, that newspaper description influenced the design scheme. The Banquet Hall’s look will mix vintage and opulent accents with burgundy, red, gold and blue ornaments tucked into the centerpiece 34-foot tall Fraser fir Christmas tree. Two 14-foot trees will flank the triple fireplace, each bestowing the same colors for uniform effect. A deep red velvet runner edged with holly and red berries will accent the Hall’s dining table, with potted poinsettias and fresh cut flower arrangements completing the look. Guests will see 60 trees throughout Biltmore House, each intricately designed and decorated by members of Biltmore’s floral team. Miles of fresh garland and wreaths draped throughout the house yield a nostalgic yuletide scent. A 55-foot Norway spruce tree, lit by 45,000 tiny white lights, displayed on Biltmore’s front lawn welcomes guests who visit Biltmore House for Candlelight Christmas Evenings. This unique holiday experience features local choirs and small musical ensembles stationed in the Winter Garden and throughout the house, performing music of the season. Candlelight Christmas Evenings includes an evening reservation to tour Biltmore House as well as daytime admission to Biltmore’s gardens, Antler Hill Village and Winery. In Antler Hill Village, Santa will visit with children and families from 1 to 5 p.m. on Saturdays and Sundays, Nov. 8 through Dec. 21, and also on Friday, Nov. 29. Cedric’s Tavern will host live music nightly. The village links to the Winery where visitors may take guided tours, enjoy free wine tastings and purchase wines from Biltmore’s diverse portfolio, including the limited release Christmas at Biltmore blend. Special wine seminars are available by reservation. Biltmore’s floral arranging and gardening experts will conduct free, daily seminars at A Gardener’s Place retail gift shop from Oct. 17 through Jan. 11. Seminars are “Winter Wreaths” at 11 a.m. and 2 p.m., and “Front Door Swags” at 1 and 3 p.m. Guests may enjoy a festive holiday meal at the estate prepared by award-winning chefs. Select from the Bistro, Deerpark Restaurant, Stable Café, Cedric’s Tavern or The Dining Room at Inn on Biltmore Estate. The Inn will offer its annual Gingerbread House Tea on Dec. 18, 19, and 20. Guests can assemble a gingerbread house with the help of a pastry chef while enjoying afternoon tea. For guests looking to extend their stay at Biltmore, the four-star Inn on Biltmore Estate offers several packages for holidays, including special Thanksgiving, Candlelight Christmas Evenings, Christmas Eve and New Year’s Eve packages: Biltmore.com/stay/inn/packages-specials/holiday-packages. Biltmore boasts retail shops, all perfect for holiday gift shopping. Other activities include taking a horse and carriage ride; exploring acres of walking and biking trails and more. For more information about Christmas at Biltmore, visit Biltmore.com/visit. Located in Asheville, North Carolina, Biltmore was the vision of George W. Vanderbilt. Designed by Richard Morris Hunt, America’s largest home is a 250-room French Renaissance chateau, exhibiting the Vanderbilt family’s original collection of furnishings, art and antiques. Biltmore estate encompasses more than 8,000 acres including renowned gardens designed by Frederick Law Olmsted, the father of American landscape architecture. Today, Biltmore has grown to include Antler Hill Village, which features the award-winning Winery and Antler Hill Farm; the four-star Inn on Biltmore Estate; Equestrian Center; numerous restaurants; event and meeting venues; and Biltmore For Your Home, the company’s licensed products division. To learn more about Biltmore, go to www.biltmore.com or call 877-BILTMORE. ASHEVILLE NC – UNC Asheville will host an observation event to safely view the partial solar eclipse occurring just before sunset on Thursday, Oct. 23. This free, public viewing event will begin at 5:58 p.m. in UNC Asheville’s parking lot P8, uphill from the Reuter Center. Participants will have the opportunity to watch the partial solar eclipse using telescopes equipped with solar filters. The location also provides a low view of the western horizon, which is difficult to find in the Asheville area and necessary for viewing this eclipse. The event will end with the sunset at 6:44 p.m. This event is sponsored by UNC Asheville’s Physics Department and the Astronomy Club of Asheville. For more information, including the latest updates regarding cloudy weather and possible cancellations, visit the Astronomy Club of Asheville website. ASHEVILLE NC – Runners will get coated in color as they pass through color stations during the Fun Run 5K on Saturday, Nov. 1, at Western Carolina University. The event is part of activities associated with WCU’s 125th anniversary and the university’s annual Love Your Body Week. The race will begin at 9 a.m. near the Alumni Tower at the center of campus. The event is open to runners age 10 and older, and it is limited to the first 250 participants. The registration fee is $12.50 for WCU faculty, staff, students and alumni and $20 for all others. Participants will receive a free T-shirt at check-in to wear during the race. Registration is available online at https://orgsync.com/24496/forms/119256. Registration also will be offered on race day starting at 8 a.m.
Campus sponsors for the 5K include a leadership class, the Student Government Association, the Office of Leadership and Student Involvement and the 125th anniversary steering committee. For more information, contact Karen Farmer in the Office of Leadership and Student Involvement at 828-227-2610 or [email protected]. ASHEVILLE NC – Two of North Carolina’s leading local food and farmer advocacy organizations have joined forces on a major new initiative to increase farmer direct sales and expand local food access. ASAP (Appalachian Sustainable Agriculture Project) and RAFI-USA (Rural Advancement Foundation International) have partnered on the project, Connect2Direct. The goal for the collaboration is to support and build equitable community-based local food economies through the development of direct markets for farmers in North Carolina. ASAP has nearly two decades of local food systems development experience and RAFI is a national leader in farmer-led policy and market reforms. Connect2Direct aims to dramatically increase farm to consumer direct sales and the usage of EBT/SNAP at farmers markets in NC – by over 100% within two years – by providing training and technical assistance to markets and market vendors, creating effective marketing and outreach campaigns, facilitating the transactional process for EBT/SNAP, and building statewide capacity and efficiency to sustainably ensure that all North Carolinians have access to fresh foods grown by local farmers. A Farmers Market and Direct Sales Conference is planned for November 2015. Find out more about the initiative at www.connect2direct.org. About ASAP: ASAP’s mission is to help local farms thrive, link farmers to markets and supporters, and build healthy communities through connections to local food. To learn more about ASAP’s work, visit asapconnections.org, or call (828) 236-1282. About RAFI: RAFI’s mission is to cultivate markets, policies, and communities that sustain thriving, socially just, and environmentally sound family farms. To learn more about RAFI’s work, visit rafiusa.org. or call (919) 542-1396. ASHEVILLE NC – The Friends of Chimney Rock State Park will host Park in the Dark, an after-hours event on Halloween night Friday, October 31, from 7:30-10pm. Fun for the whole family, Park in the Dark will feature storytelling, campfires, night hiking, wildlife encounters, costumed characters and more. The 491-step Outcroppings trail and the elevator, both of which lead to the top of Chimney Rock, will be open, providing the opportunity to experience the beauty of Chimney Rock State Park under the stars. Membership in Friends of Chimney Rock State Park is required, and guests must pre-register; folks who are not currently members of the Friends should sign up to join in the fun! Park in the Dark will launch this year’s membership drive for the Friends of CRSP and will also appreciate the individuals, families and corporations who have already joined the Friends to support their efforts. Friends of CSRP is a nonprofit organization whose mission is to partner with the state park to sustain and cultivate the rich diversity of the Hickory Nut Gorge region for generations to share and enjoy. Its primary goal is to support the reopening of Chimney Rock State Park’s Skyline trail, which leads to a view of the top of the Hickory Nut Falls. Membership to the Friends of Chimney Rock State Park is $35/year for an individual, $60/year for a family. Additional corporate and other sponsorship levels are also available. Chimney Rock at Chimney Rock State Park will open its gates at 7pm to admit event-goers. Gates will remain open for 30 minutes, after which no admittance will be permitted. Activities and hiking will take place at the Chimney from 7:30-10pm. Call 800-277-9611 to pre-register; Friends pay just $5 per car parking fee to attend. This event is available to the first 70 registrants only. ASHEVILLE NC – Western Carolina University’s social work program is the recipient of a federal grant of more than $1.1 million to expand the number of social workers qualified to practice in the areas of substance abuse prevention and behavioral health in Cherokee and other underserved areas of Western North Carolina. The grant, totaling $1,177,354 and to be awarded to WCU over a three-year period, is from the Health Resources and Services Administration of the U.S. Department of Health and Human Services. Working in collaboration with the Eastern Band of the Cherokee Indians and the Center for Native Health, the university will receive $321,764 in the initiative’s first year, $420,902 in its second year and $424,688 in the third year. The grant will provide up to $10,000 in individual stipends to students in WCU’s master’s degree program in social work who plan to serve the behavioral health needs of the people of WNC. It is designed to produce social workers with the skills to prevent and intervene in the high-risk behaviors of youth by using a family-focused health care model that is sensitive to the culture and needs of the Eastern Band of Cherokee Indians and other youth populations across the rural Southern Appalachians, said Pat Morse, head of the social work department and director of WCU’s graduate program in social work. “It is a pleasure and honor to collaborate with the Center for Native Health, the Eastern Band of Cherokee Indians and the behavioral health services agencies across Western North Carolina on this important project,” said Morse. Douglas Keskula, dean of WCU’s College of Health and Human Sciences, said the grant will fund an innovative project that will contribute to promoting, supporting and sustaining a much-needed behavioral health workforce in Cherokee and across the mountain region. The funding marks the 13th grant awarded by federal or regional agencies for research conducted by faculty in WCU’s College of Health and Human Sciences to date since the 2012 fiscal year, with nearly $6 million in grants for projects ranging from improving diversity in the region’s nursing workforce to health care assessment for older adults. ASHEVILLE NC – Everyone needs to get around. That’s the simple idea behind Asheville In Motion, an evolving and exciting community-based initiative designed to increase access to all forms of transportation. On October 25, the public is encouraged to participate in a symposium on Asheville’s transportation future. The event will feature a panel discussion, community exercises and opportunities to let the community know your biggest priorities for mobility in Asheville. Input and information will become part of the city’s AIM mobility plan, which will meet Asheville’s growth and transportation needs by changing how we think about getting around. Better mobility means easier access to jobs, better neighborhood connectivity, a boost to business, and a safe, healthy, sustainable transportation system. Help Asheville take AIM at the future of mobility by attending this exciting event. The Asheville In Motion symposium will take place Saturday, October 25 in the U.S. Cellular Center Banquet Hall from 9:30 a.m. to 12:30 p.m. Find more information about Asheville In Motion here. You are currently browsing the Asheville NC News blog archives for October, 2014.